This thirty-ish mother of two became tired of her frowning appearance in spite of a very pleasant personality. She had overactive facial muscles located between the brows. This is the most common area of the face that we are asked to treat with Botox injections. The wrinkling of the brows is shown in her pre-treatment photo at right. On the left, she is shown about two weeks later. The wrinkle muscles have been successfully treated with Botox. Before Botox injection, the forehead possesses horizontal creases that are present at rest (that is, even without the individual frowning). Two weeks after the injections, the forehead and immediate area are smooth even during the woman’s attempted frowning, shown in the photo on the right. This effect is expected to last about four months although individual results may vary. Botox injections take just a few minutes but are usually able to take away years of frowning, squinting, and wrinkles that develop on the face. There’s virtually no “down-time”. You can have your Botox then return to work or back home in just a few minutes. Most individuals see the results within a few days. Results last about 4 to 6 months. While there are potentially some side effects, these are rare and may be related to swelling or bruising from the injections itself. At your consultation with Dr. Grenga, you’ll be able to learn whether you are a candidate for this remarkable procedure for rejuvenating your appearance. 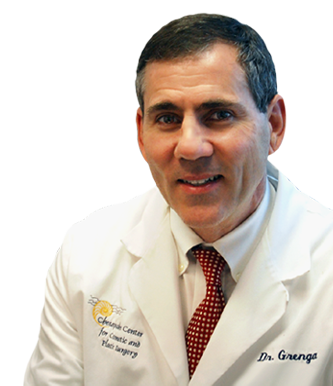 Dr. Grenga’s experience with Botox brings you yet another option for helping you to look your best. Want to know more? Just click here to be linked to our Contact Us to schedule your consultation, We’ll send you information about the procedure that you’re interested in. 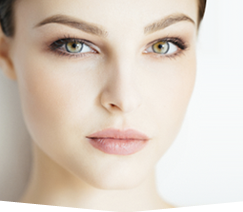 Learn more about Botox ® here.